I am sending you a quick note asking for a little advice on becoming a social studies teacher. I am hoping you can share your teaching experience with me because you seem to love what you do, and you look so very happy! I admire you and I only hope to be the crafty teacher you are someday. First, thank you for the lovely compliment at the end of your email...I am, for the most part, very happy in my life and chosen career! I, too, majored in secondary education with a concentration in social studies (focusing on US History) and was very excited and passionate about my area of studies! I'd like to disagree with what others have said to you about the low pay, low recognition, and high stress, but I can't. Those are all very real downsides to this profession. I'd also like to say that I hadn't seriously considered leaving the teaching profession for some other career choice but I can't say that either because I have, at one point or another, thought about other career paths. I've heard and read that over half of all new teachers quit within the first 5 years (so it doesn't surprise me that your favorite teacher quit after only 4 years in) and I, too, personally know friends/colleagues who quit after only a few years. It's an extremely demanding career field where you will work harder than you ever imagined. There will be lots of days where you will work yourself ragged and will be so very patient but still wonder 'am I really making any difference here'? Some teenagers can be ruthless (I use the word 'some' because others are thoughtful, helpful, and kind) and can be very quick to complain. It's hard to not take that personally but you will eventually realize that it's often times not really about you and really more about them. I still remember my days as a student teacher where I would spend hours coming up with what I thought were such creative, fun, engaging lessons and activities only to have my bubble burst when some kids would still complain about what we were doing and wouldn't complete their classwork, homework, or any work at all! I almost gave up right then and there because I thought 'what's the point of working this hard if they're just going to complain'? But, luckily my mentor teacher told me he thought I was going to make a really good teacher and that I should stick with it. Here I am 11 years later and I'm still in the trenches! So, here's the good side...if you can learn to tune out and/or tolerate the bureaucratic nonsense that is public education, the parents who enable their kids to be lazy and entitled, the increasing demands from administration to do more with less time, the aforementioned complainers, and every other person who thinks they can do this job better than you (because obviously having once been a student means one is an expert on teaching), there's a lot to love about this job. It feels really, really good teach someone something they didn't know before (like really good). It feels really good to show a kid kindness and patience and to see them make progress and reach goals. It feels really good to laugh out loud almost every day (because my kids can be so funny, witty, and clever). It feels good to put in a hard day's work and know that your life is dedicated to serving your community. It feels AMAZING when, every now and then, you get a letter or an email from a former student thanking you for not only teaching them something they are now using in their life but for teaching them to be kind & hard working people, especially when it's from a kid whom you never expected to receive such a note. I am a more patient, more tolerant, more industrious, more creative, more enthusiastic, and better-educated person because I am a teacher. Until the cons outweigh the pros, a teacher I shall remain! AMEN! I am currently in school working towards becoming a high school English teacher! 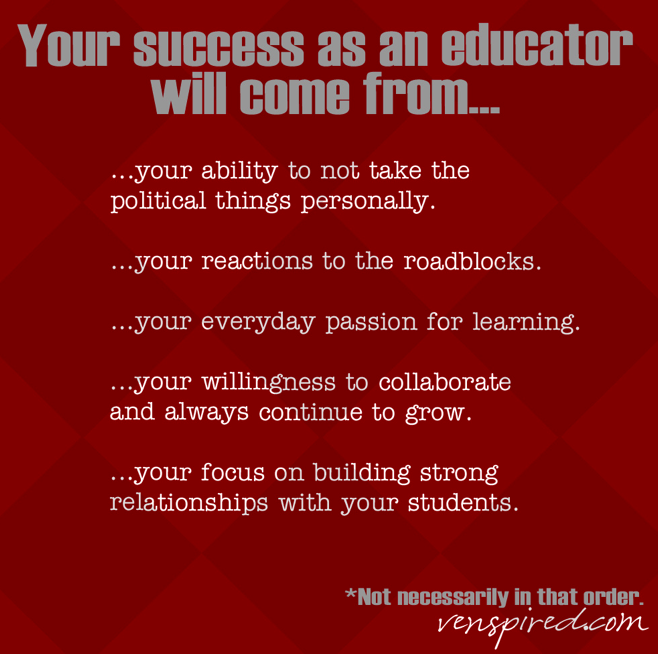 I really, really love your response :) It is educators like you that make me so stinkin' proud to be a future educator!! Thank you so much! I'm happy to know my response has resonated with as many teachers as possible! Good luck!! I am currently working toward my associate's in social work, but am thinking about double majoring for my bachelor's in social work and k-8 education. I also work part time as a special ed aide substitute. As a former corrections officer, a classroom full of kids scares me to death. Haha! Yes as the saying goes "once you can master the art of standing in front of a room full of teenagers, you can master all else"! I am so glad to have found your blog! This fall, I will be starting my full-time student teaching internship for History Education. Unfortunately, there is a lot of negativity surrounding education that has made me hesitant about continuing with my degree. Of course there are plenty of people outside of the realm of education who always bring up things like, "Why would you want to become a teacher? You get paid so little!" or "You have talent. Why would you just want to be a glorified babysitter?" While those comments can be easily ignored, the comments said by those in the education field are harder to shrug off. From professors, to collaborative teachers,and even administrators make discouraging comments to aspiring educators-nothing's quite like observing a classroom while the collaborative teacher, while very sweet, said her only advice for those who wish to become teachers was to "change their minds"...that's why I love finding blogs like yours. 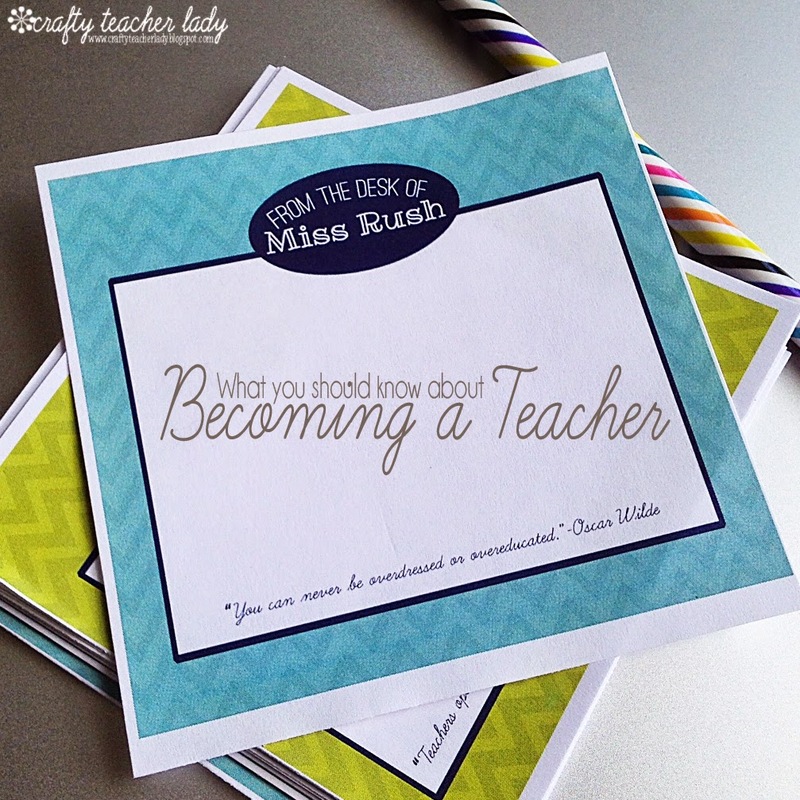 You provide lovely resources and honest responses for current and future educators. I have definitely pinned and bookmarked your blog because it is a great resource. Stephanie, thanks so much for your thoughtful message! It really means a lot to hear that the resources I'm sharing can be of help and inspiration to teachers and soon-to-be teachers out there! 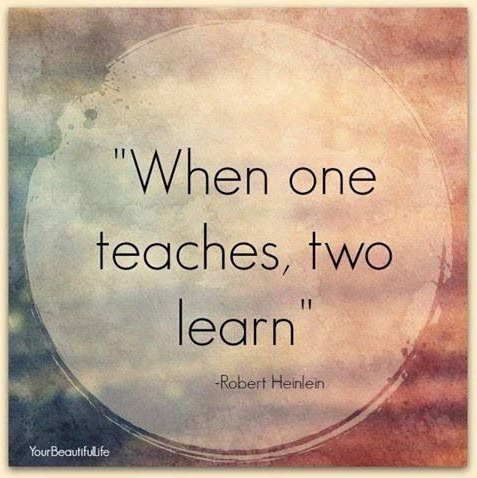 Teaching is incredibly challenging but can also offer incredible rewards that other professions can't offer! Good luck on your journey!